The Ceylon Chamber of Commerce congratulates the Ministry of Finance on the successful passing in Parliament of a new Inland Revenue Bill that aims to modernise and streamline Sri Lanka’s income tax system. We are particularly encouraged by the recent decision to change the implementation date of the Act to 1 April 2018 – a proposal that the Ceylon Chamber had been strongly advocating. The Ceylon Chamber stayed extensively engaged throughout the process of drafting the new legislation, and is grateful for the space provided by the Government to have our views heard. 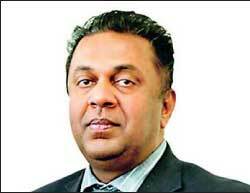 The Ministers Mangala Samaraweera, Malik Samarawickrama and Eran Wickramaratne, as well as officials of the Ministry of Finance, were sensitive to private sector concerns and suggestions submitted by this Chamber. This was a fine example of a collaborative approach to policymaking, and we hope that other policymakers too will adopt a similar approach. We look forward to the same level of openness and consultation in the formulation of the National Budget 2018. The Chamber has always advocated for, and supported the process of, a healthy dialogue between the public and private sector on the basis that such consultations are essential for sustainable policymaking. To achieve the Government’s Vision 2025 of ‘An Enriched Country’, a thriving private sector is essential. In order that the private sector may better contribute to the achievement of this vision, we look forward to predictability in the levy of taxes. The business community strongly opposes retroactive legislation in dealing with the tax regime. Domestic and foreign investors must have confidence in the stability of a tax system when formulating their business plans. The Chamber will continue to engage with the Ministry of Finance with regard to implementation issues that will be identified following an internal review process.